Is hitting the gym just another chore to check off your list? I had that perspective for a long time and felt guilty when I didn’t go for weeks at a time. When I failed at maintaining any sort of consistency, I gave up on trying to work out at all, felt like a failure, and didn’t treat my body well. I think we’re all familiar with that vicious cycle to some degree. My complacency and poor nutritional choices resulted in a dangerous spiral that led to many health issues. In the past year, I’ve been working on shifting my mindset about fitness from being rooted in guilt and comparison to something based on positive, long-term sustainability. Instead of looking at a workout as just another task I have to complete each day, I try to consider what new types of movement will make my body feel good and improve my health, even if just in a small way. Having an open-minded approach to fitness has also been helpful in adapting my activity to whatever environment I’m in when I’m traveling. Below are some ideas for ways you can branch out and enjoy new forms of movement. 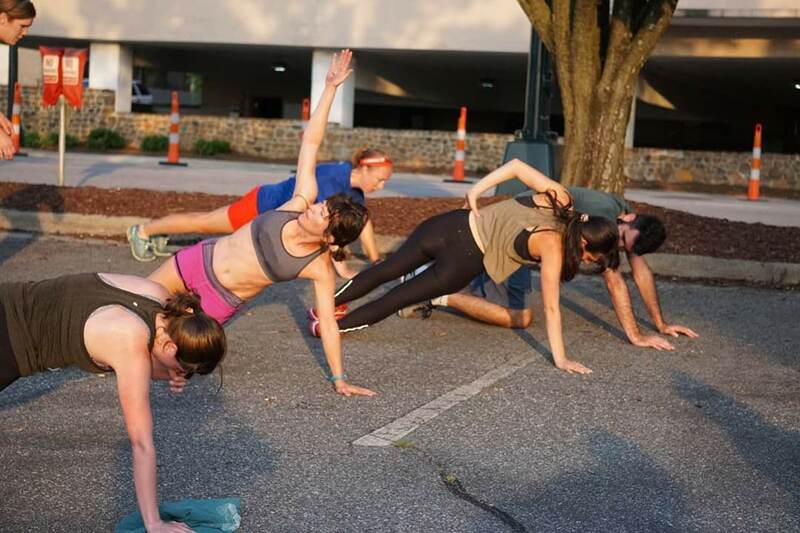 Community Fitness – Being outdoors is one of my favorite things in life, so when I found out there were several outdoor free fitness opportunities near me, I couldn’t wait to try them. I love the variety and camaraderie of community workouts – on any given day you could be doing a fartlek, cherry picker, Tabata workout, parking garage race, playground workout, hoistees, or partner leg throwdowns (Don’t worry, most of those words were new to me, too!) It pushes me to go harder than I would if I were just working out alone, and movement with other people is more enjoyable. Hiking – If you love the outdoors, this is a great way to explore and get in some good activity at the same time. I love taking my pup to the park and immersing myself in nature. It might be a challenging uphill trek, but I’m usually too busy watching turtles and deer along the path to ever think about it as work. You can find good trails near you here. 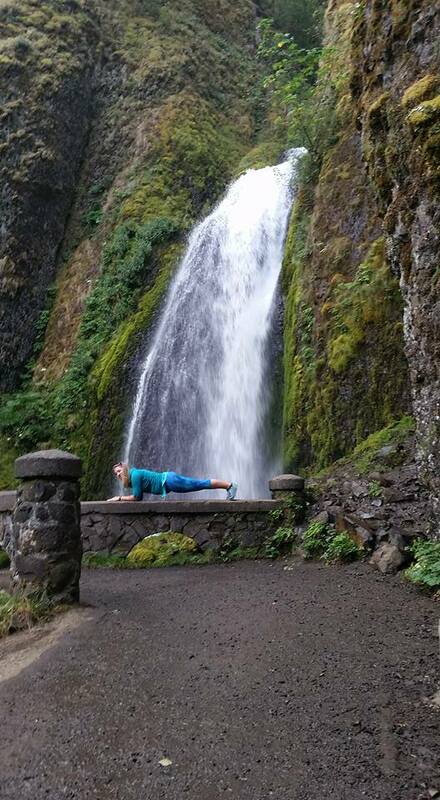 Planking – Such a great way to work on your ab definition and core strength. I enjoy planking by unique landmarks whenever I’m in a new place. It will inevitably cause some stares, smiles and sometimes laughs from those around me (some people are even inspired to plank along with me!) It’s one of my favorite ways to remind myself and others that movement should be fun. Obstacle Course Races – If you have a competitive side and also enjoy running, why not try an obstacle course race? There are multiple types of races out there for all levels of fitness, and they are a great way to push yourself and focus on teamwork since you typically race in groups of 2 or 4. Outdoor fitness parks (aka adult playgrounds) – These are becoming more widespread around the US, much to my delight! On a recent trip to Virginia Beach, we encountered Hillier Ignite Fitness Park right on the beach, so of course, we had to stop and play for a while. It’s nice to just let loose and feel like a kid again while being active at the same time! HIIT workouts – These have gotten a lot of attention in recent years, and for good reason. They consist of going all out for short high-intensity intervals, followed by a short period of rest (usually 20-30 seconds of movement with 10-20 seconds of rest). What I love about interval workouts is that there are endless possibilities and you can do them indoors or outdoors, without needing much space or equipment. What do you think? Do any of the activities appeal to you or is there another type of movement you enjoy? I hope these suggestions will help you embrace a positive mindset regarding physical activity. I’d love to hear your thoughts and/or struggles in the comments! Emily is a North Carolina based holistic health coach, outdoor lover, and planking aficionado who is passionate about nutrition and fitness. Through sharing her adventures in healthy travel and non-toxic living, she hopes to inspire others to embrace health and wellness, whether at home or on the go!